Unless stated otherwise, all incenses are supplied as 1/2 oz. weight in resealable plastic pouches, at £2.50 per pouch including UK postage & packing. For EC, the price is £2.75 per pouch. We are also happy to tailor-make you a special incense - please email us at [email protected] to ask if the incense you require isn’t listed. The price will depend on the ingredients required. To order Alchemy Aromatics click here. EXORCISM Incense - Highly energetic, a real scourge of an incense! KYPHI Incense: Various versions of this very ancient Egyptian recipe exist - our recipe is thoroughly tried and tested. SIRIUS Incense - A delicious incense of bright serenity, for meditation. Oils are supplied at full strength for anointing or evaporating, in 10ml glass bottles at £4.50 per bottle, including UK p&p., £4.75 EC. We are also happy to tailor-make you a special oil. The price will depend on the ingredients required. EIGHT MAGIC POWERS Oil - an ‘all planets’ formula, involving eight oils for each of the planetary magics. Alchemy Aromatics are experienced and competitive contract suppliers of incenses and oils. Contact us at info@chaotopia.co.uk to discuss your requirements. 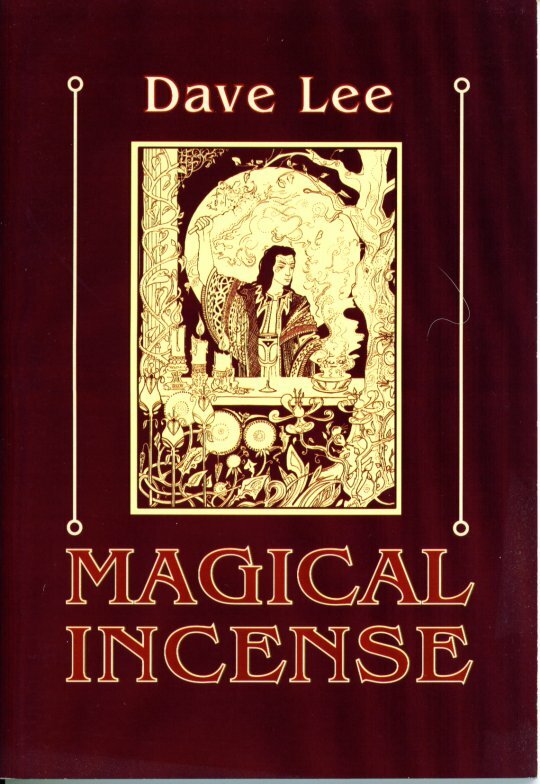 Magickal Incense was first published by Revelation 23 Press in 1992 and has since been republished in a German translation by Bohmeier Verlag. The aim of this book is to provide the basic know how required to start making high quality magical incenses for ritual, celebration and meditation. Over 100 ingredients arediscussed, and over 70 recipes are given. For those who wish to formulate their own recipes, comprehensive Tables of Correspondences are included. The most comprehensive and complete book on the subject avaialble anywhere. To order 'Magical Incense' for £4.99 + £1 UKp&p, £1.50 EC, please click here.